Up for review today is the HDPLEX 160W DC-ATX, a power supply of sorts, but one that is a bit different than the SFX and SFX-L PSUs I have previously reviewed. What makes a DC-ATX unit different? 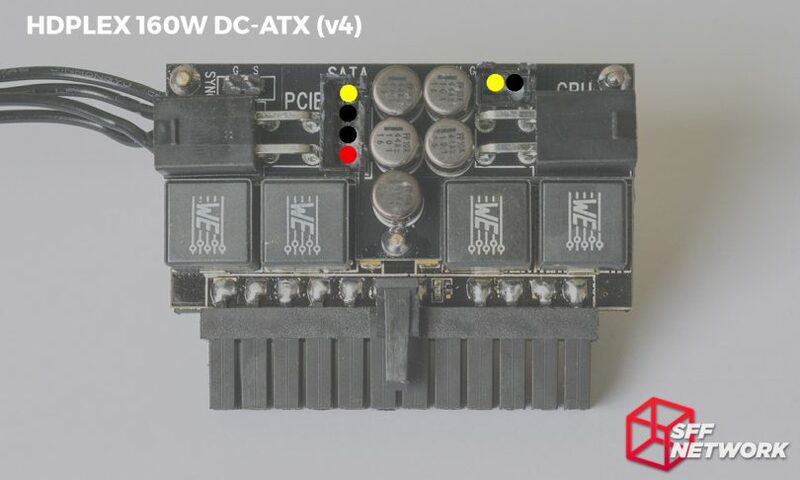 It is right in the name, it takes a single DC input voltage and from that generates the various voltages needed by a typical ATX-spec motherboard: 12V, 5V, 5VSB, 3.3V, -12V, and the power good signal. That’s all it does though, so some sort of adapter to take AC power from the wall outlet and convert it to that DC input voltage is required to complete the package. Essentially this is just splitting a traditional PC power supply in half, offering a new level of flexibility. The DC-ATX and AC-DC “halves” can be placed in separate areas of the case to make better use of space, or the AC-DC adapter can be moved outside the case entirely (a contentious move though) to save even more space internally. There is no standard or specification for DC-ATX so they come in a wide variety of shapes and sizes. 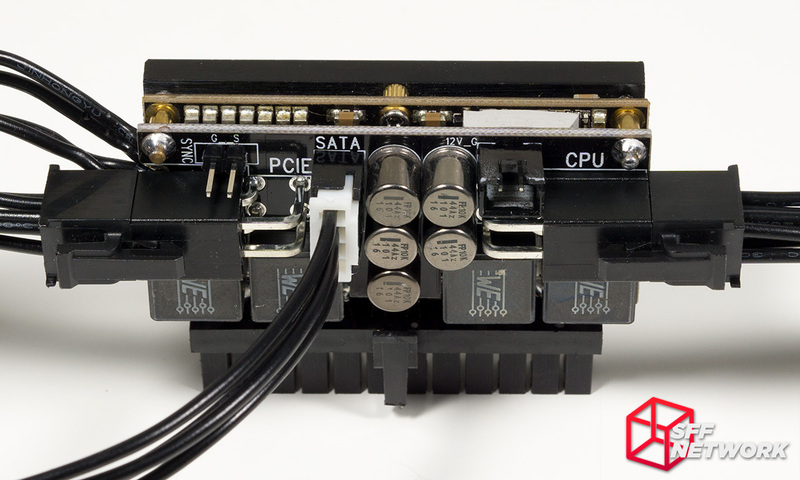 The unit we’re looking at today is of the direct-plug type, a subset of the DC-ATX category popularized by Mini-Box’s picoPSU line, so-called because the whole unit is attached to the 24-pin connector and thus plugs directly into the motherboard. 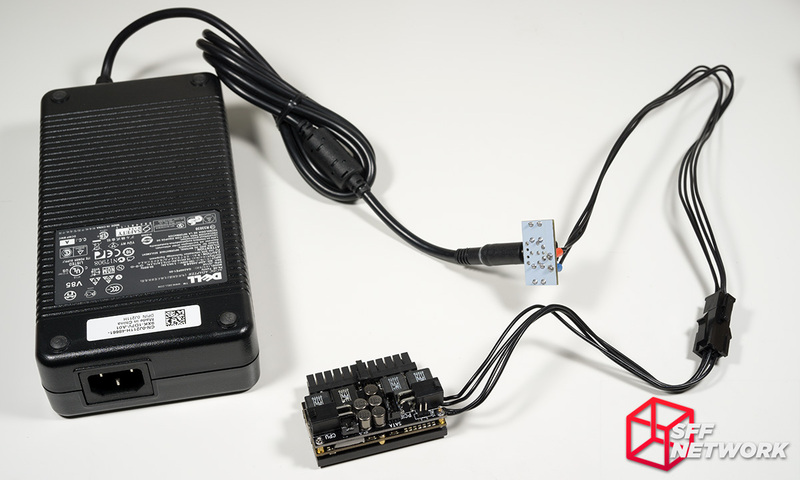 The direct-plug form factor is a boon to SFF builders since it replaces the bulky 24-pin cable with just the few wires from the AC-DC adapter for the input power. So with the introduction out of the way, on with the show! 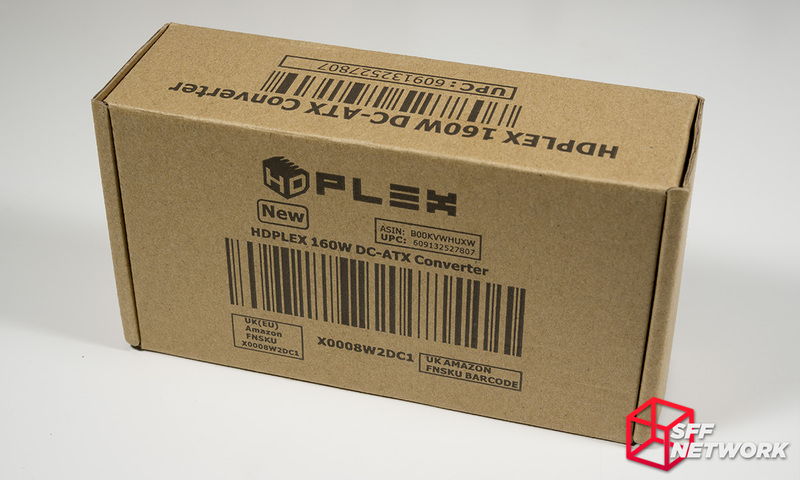 To clear up any potential confusion, the “160W DC-ATX” line from HDPLEX has been through several revisions, with the subject of today’s review being the fourth iteration. Officially there is no difference in the model name to differentiate them, so for simplicity I’ll be referring to this new one as the “v4” and the previous models retroactively as “v1” through “v3”. Rarely seen these days, the “v1” used a square PCB. The “v2” upgraded the inductors and switched to a thin rectangular footprint that was easier to tuck in a corner of a tight SFF case. With the “v3”, the design switched to the direct-plug form factor. It used a screw terminal block for the CPU and PCIe cable and while this allowed modularity, it’s a bit clunky and bulky, so I’m not sorry to see it go. 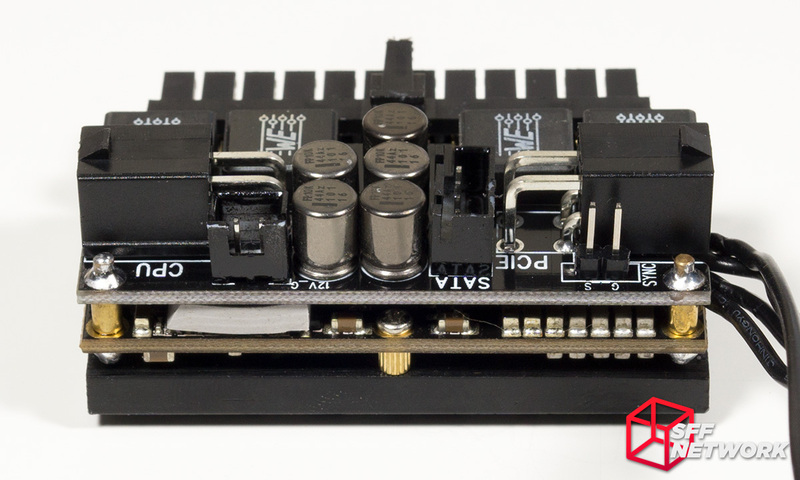 By contrast, the new “v4” features both more (SATA strand is now detachable) and better (CPU/PCIe use the common Mini-Fit Jr connector) modularity, and as a bonus it sports a spiffy new blacked-out look. 16V-24V wide range voltage input support, 8 layer DUAL Level copper PCB! 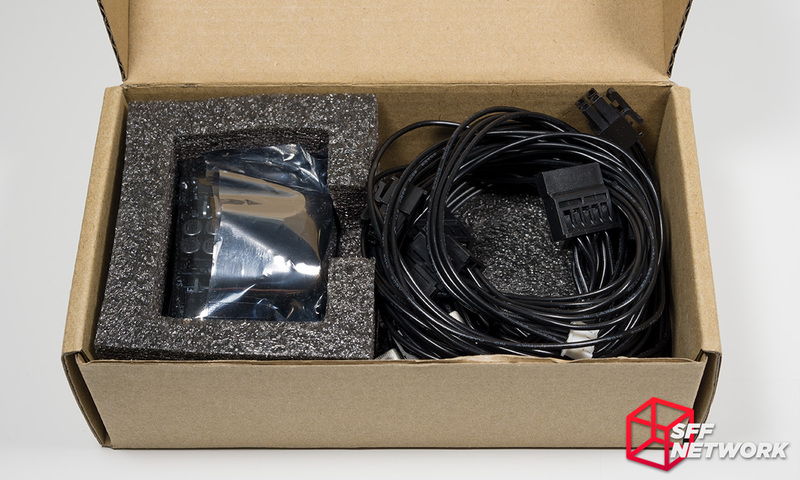 The box is an extremely simple affair, with just black printing on plain cardboard. Personally I prefer this approach because it’s cheaper (fancy packaging is surprisingly costly!) and easily recyclable. In addition to this, products such as these fill such a small niche that it will almost certainly never be seen on a retail store shelf, so it would be a bit silly to waste money and ink marketing to people who have already bought the product. The inside of the box is also straightforward, though HDPLEX has opted for the pricier (but more protective) closed-cell foam to cushion the DC-ATX unit during shipping. 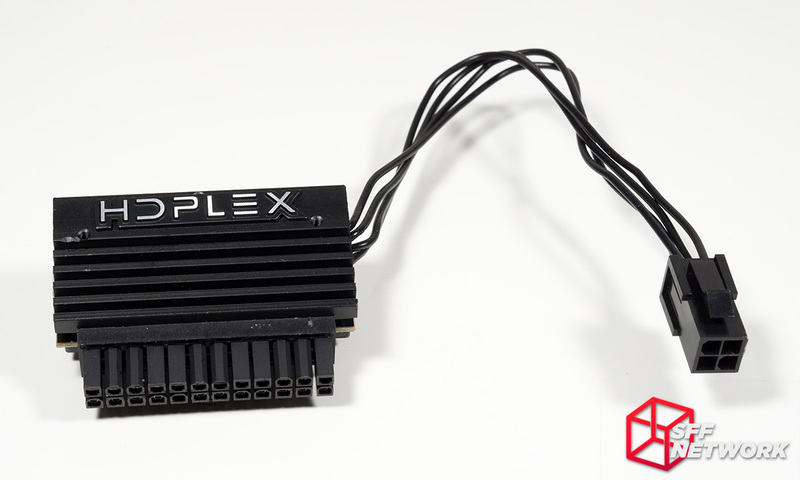 Not pictured, but will be included in retail units, is a SATA to 4-pin peripheral (the so-called Molex) connector. There is a short pigtail for DC power input that is soldered to the unit, and it is about 170mm long. It terminates in a 4-pin connector that can be used with HDPLEX’s line of internal 19V AC-DC adapters, like the 160W AC-DC pictured above. 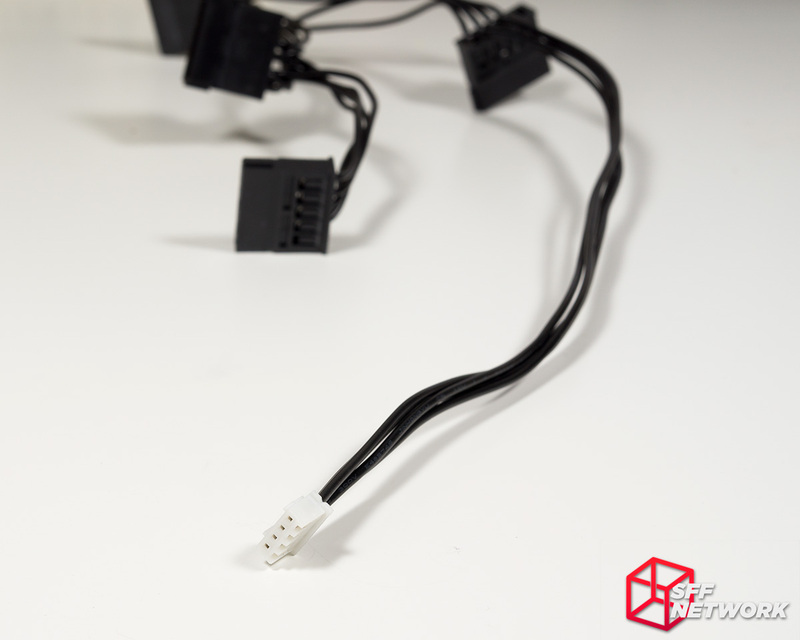 Also included is a cable for supplying the 160W DC-ATX unit’s input power using an AC adapter with a 7.4mm x 5.0mm tip instead. The wires are 410mm long. This size tip is commonly used by higher-wattage bricks from Dell and HP, like the 240W Dell PA-9E pictured above. The input power must be 16V-24V DC and most bricks with this tip size are 19V, but to be safe always double-check. 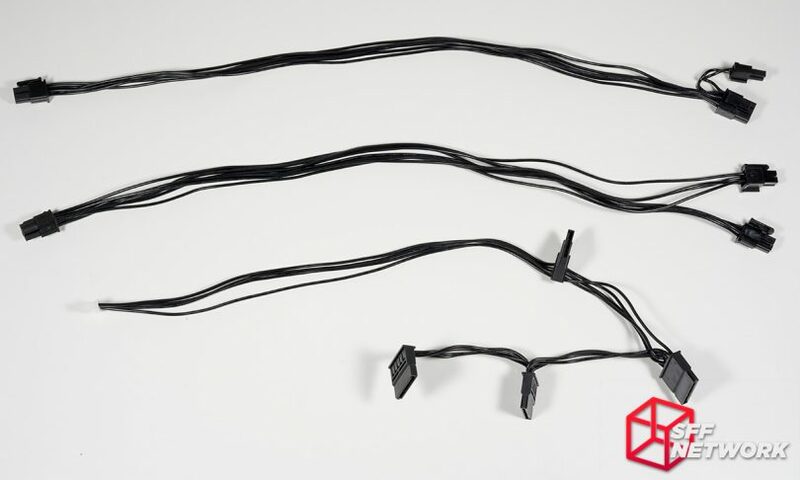 The wires are 20AWG and in a welcome change from previous HDPLEX products, all wires and connectors (other than the PSU-side connector of the SATA strand) are black. 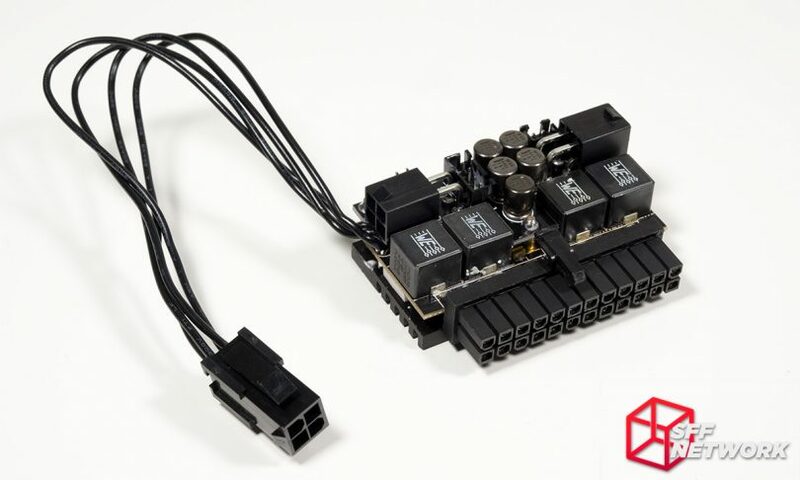 Speaking of the SATA strand, for those interested in custom wiring for this unit, this connector is a JST XH-series XHP-4 housing. 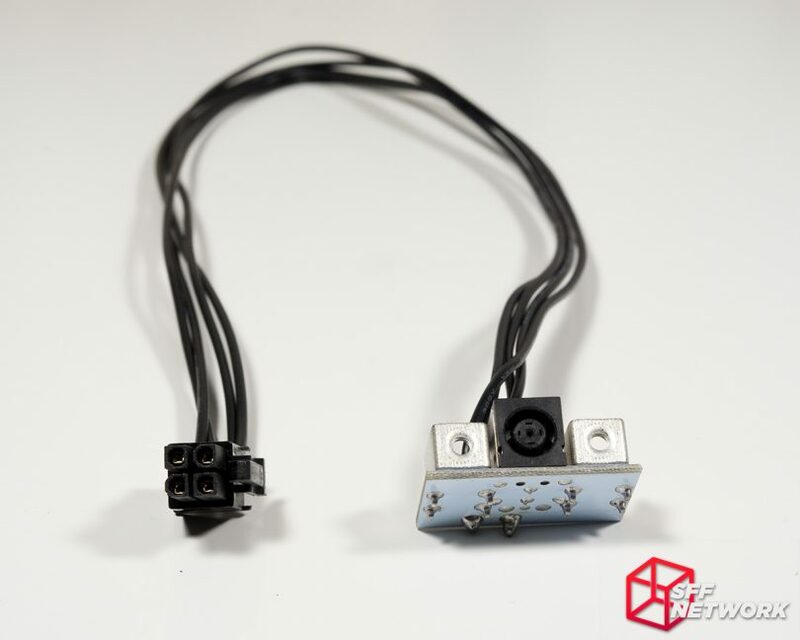 All the other modular connectors are from the Molex Mini-Fit Jr. series. 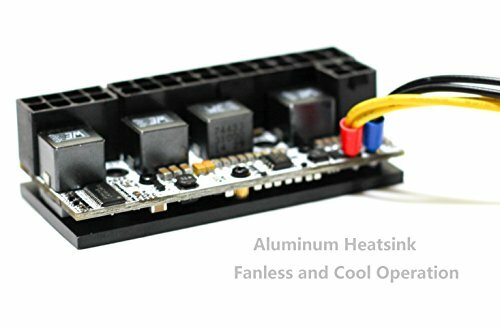 The back of the unit is covered by a simple anodized aluminum heatsink with a HDPLEX badge. On most motherboards this is the side that would be facing inward towards the CPU socket. This orientation means the unit can take advantage of airflow from top-down CPU air coolers. Flipping the 160W DC-ATX around and we can see there’s quite a bit of hardware stuffed into this small package. From this angle it is clear that this unit is actually composed of two PCBs stacked together. With the position and orientation of the 24-pin on most motherboards, the connector labeled “CPU” is on the side of the DC-ATX’s PCB closest to the CPU power connector and the same for the video card and the connector labeled “PCIE”. Just note though, the 12V is a single rail and those two cables can actually be swapped the other way with absolutely no issue if that makes more sense for cable management. Between the two main connectors is the 4-pin JST XH header for the SATA cable. 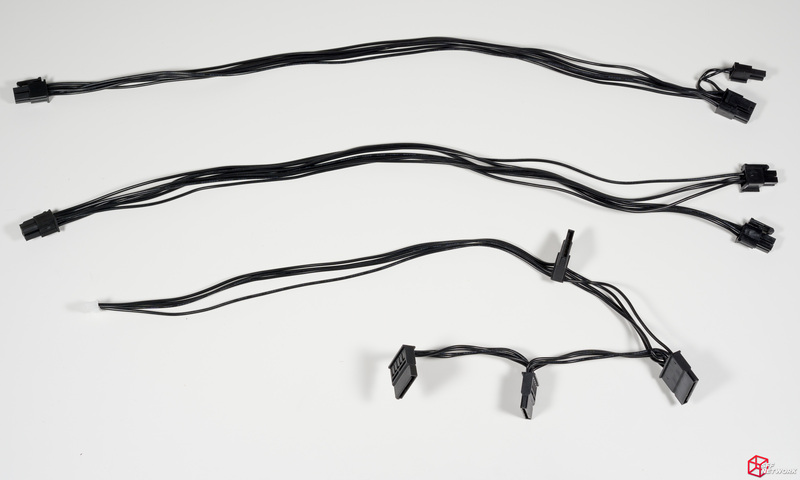 The 2-pin header in the upper-right was originally intended to be used for a cable with a 4-pin peripheral connector (aka Molex), but that plan was dropped in favor of an adapter that plugs into one of the SATA connectors instead. The last header, labeled “SYNC” in the upper-left corner of the picture, is intended for use with upcoming products to synchronize the PS_ON signal for daisy chaining multiple DC-DC units together. Here is the unit with the cables connected. 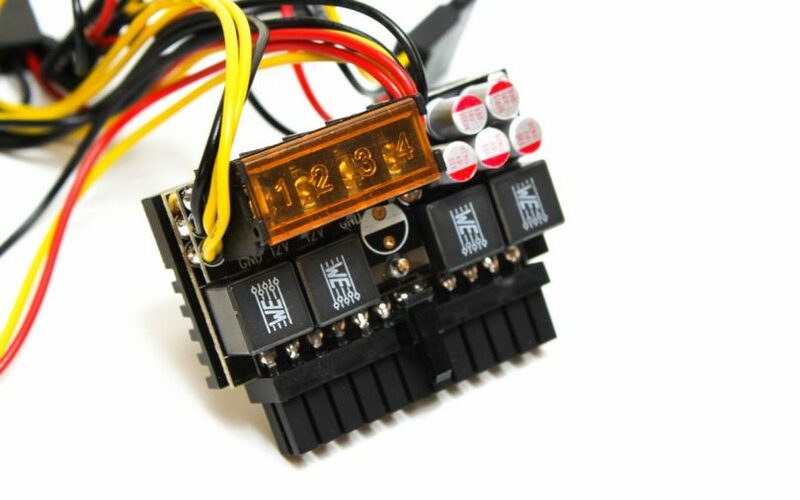 Note that the SATA connector is missing the 3.3V, this shouldn’t cause any issues though as modern drives do not use 3.3V. The DC input is 16-24V DC on the clip side and GND on the other. Keep in mind the clips on the CPU/PCIe connectors add another 2-3mm to the thickness of the unit. The thickness is measured from the centerline of the 24-pin connector. These DC-DC units are not simple rectangular prisms like normal PSU form factors, so to aid fitment checking I’ve made a 3D model based on measurements of my review unit. It is available in both SketchUp and STEP file formats from the Resources section of the forum here. While better in this regard than the previous revision, the 160W DC-ATX “v4” does overhang the motherboard a fair bit. 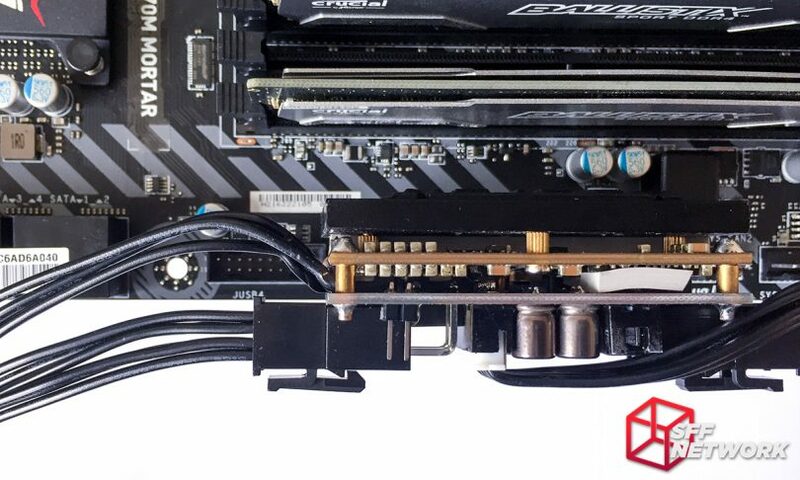 The exact amount of overhang is dependent on the distance between the 24-pin connector and the edge of the board, on this MSI Z270M MORTAR it’s about 13-14mm with the modular cables installed. 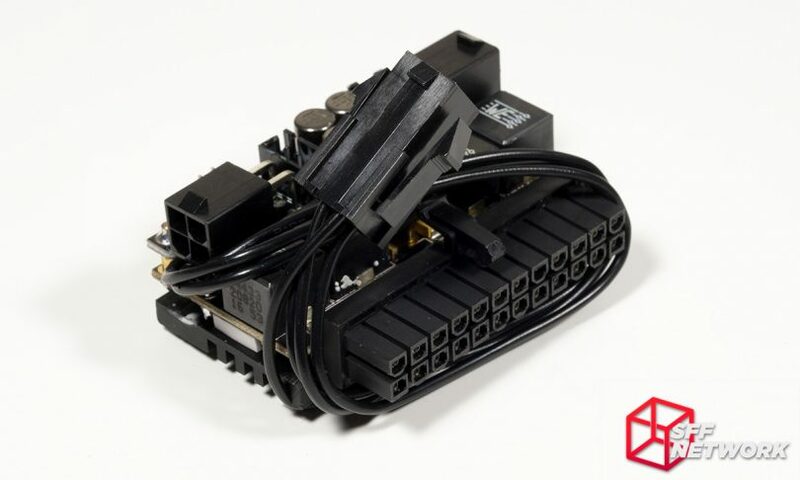 This could pose a problem in cases where elements of the chassis are up close to the motherboard in proximity to the ATX connector. 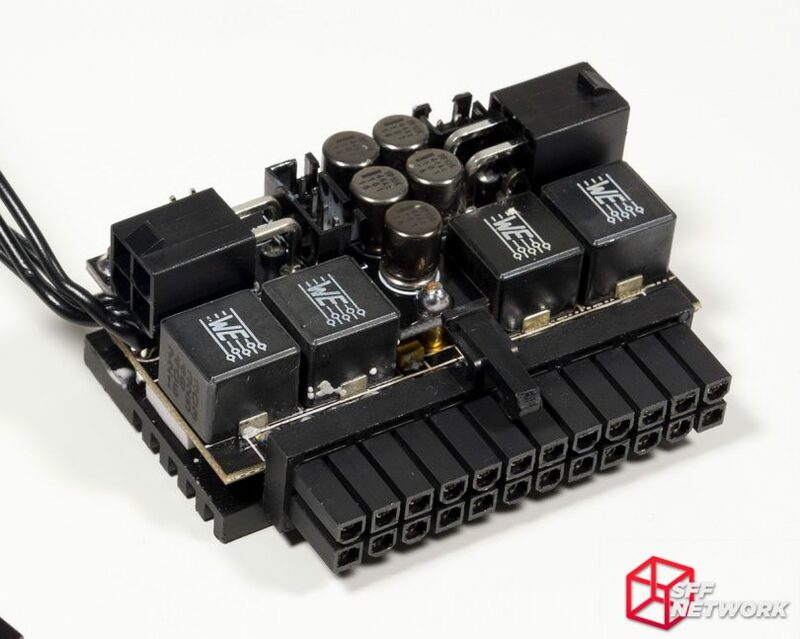 Similarly, the heatsink on the backside of the unit can intrude on the RAM slots with some motherboards. If the USB 3.0 header on the motherboard is just underneath the 24-pin and the USB 3.0 connector for the case is particularly bulky, there may be some interference. The problem is not so much with the DC input wires, though it appears that way in the previous picture, since they’re high enough up that they shouldn’t interfere. The issue is more that the PCB of the DC-ATX extends past either side of the 24-pin connector. 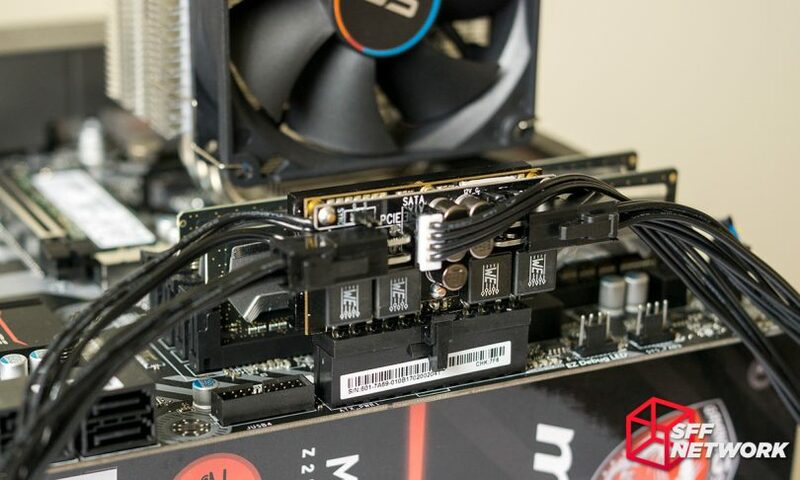 On many Mini-ITX motherboards the USB 3.0 header is nowhere near the 24-pin so this very well may not be an issue, but it’s something to keep in mind when considering this unit. As mentioned at the beginning of the review, we currently lack the expertise and equipment to properly evaluate the electrical performance of power supplies to a complete extent, so the following data is more to demonstrate that the HDPLEX 160W DC-ATX is capable of powering the test system with no issues. Brand Electronics 4-1850 power meter, used to measure the AC draw of the system. Pax Instruments T400 temperature datalogger with Omega thermocouples, used to measure ambient and heatsink temps. Fluke 83 III multimeter to measure voltage. Each test is run for 10 minutes, and then readings are taken before moving on to the next test. The HDPLEX 160W DC-ATX powered my test setup with no issues. I originally intended to review the 160W DC-ATX in combination with the HDPLEX 160W AC-DC, but my AC-DC unit failed during testing. I’ll review it separately once my replacement shows up, but I mention this because I attempted to power the system with a GTX 1060 in place of the 1050 Ti. 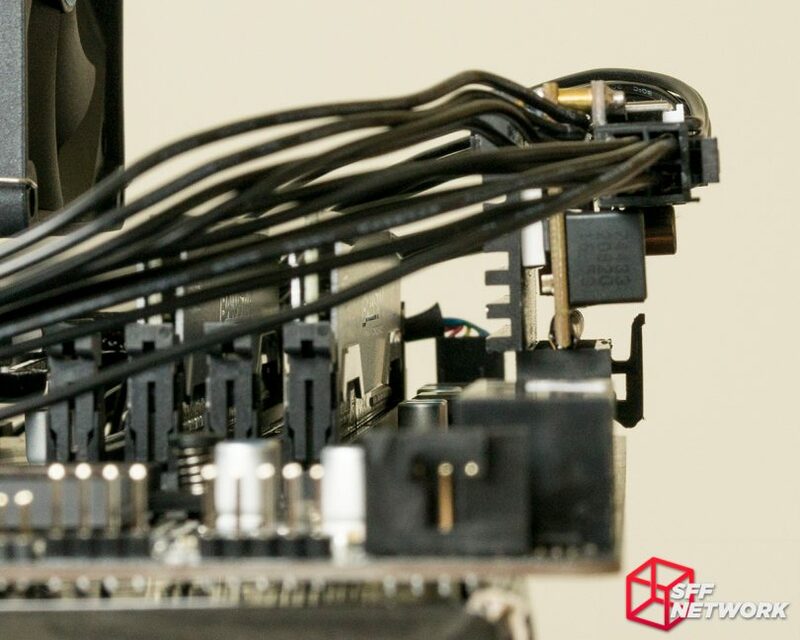 The main differences between the 160W DC-ATX “v3” and “v4” are the connectors, and the “v3” has been demonstrated to successfully run GTX 1060 systems. I had quite a bit of trouble replicating that with my “v4” though, and I believe the culprit is the Dell brick. Laptop bricks are intended to power laptops (who would have thought!) so they don’t typically deal with power draw spikes well, but modern GPUs have very spikey power consumption characteristics as part of their efficiency optimizations. 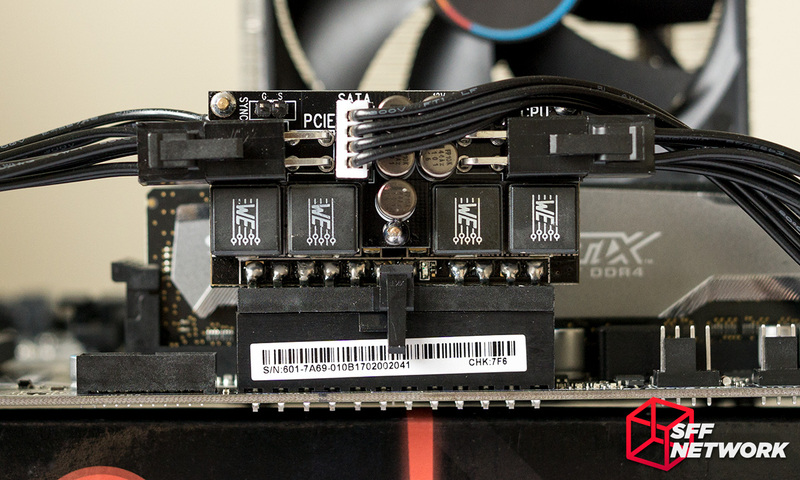 Since my schedule for the near future is in flux this review will go up now, but look forward to a future article where I push the 160W DC-ATX to the max once I have my hands on a suitable AC-DC unit to partner it with! I did encounter coil whine during testing, a very subtle scratchy noise at low loads and a louder (but still subdued) whine at higher loads. Coil whine is very difficult to diagnose and can be caused by even a specific combinations of parts. So I mention my experience as one data point, not necessarily an indication that all 160W DC-ATX “v4” units have coil whine. Overall I quite like the HDPLEX 160W DC-ATX “v4”, especially in comparison to the previous generations of the line. The all-black look and smarter cable modularity makes it a much more satisfying product. 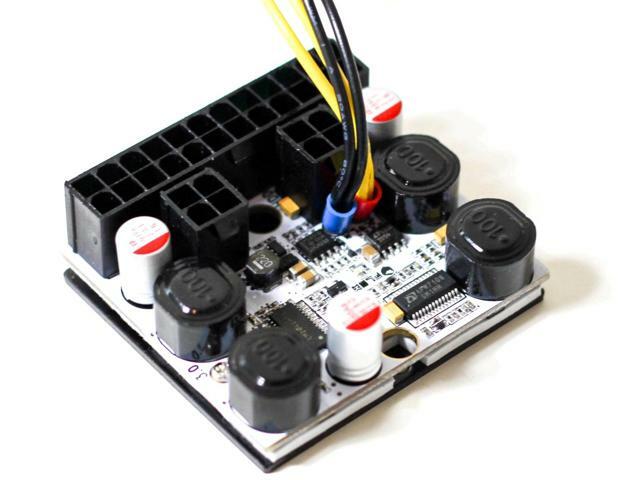 The modular cables and wide input voltage come at a cost though, and the unit is much thicker than the 12V-only input G-Unique direct-plug DC-ATX models. 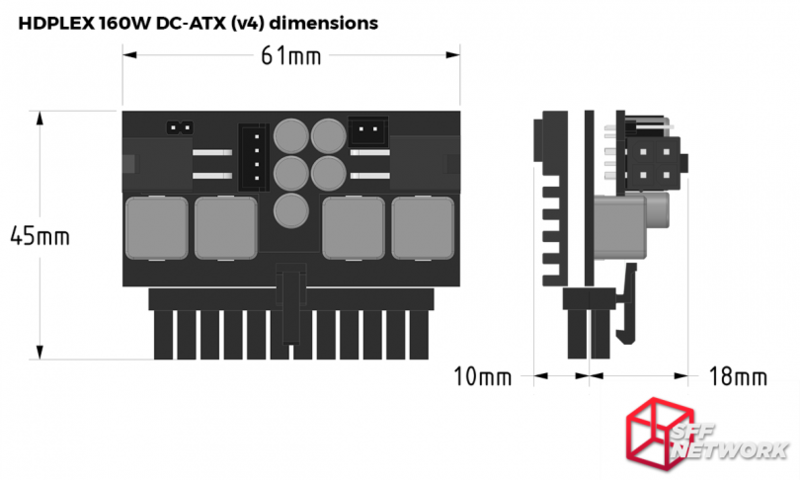 So while DC-ATX units are very well suited for tight SFF builds where the whole case may be smaller than a large ATX form-factor power supply, ironically extra care must be taken with the HDPLEX model to ensure it will fit since it’s a bit on the thick side. 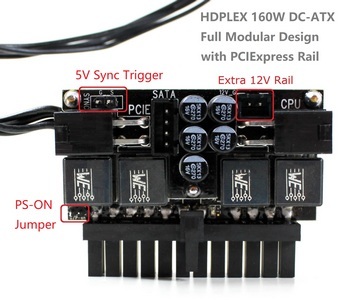 But assuming it will fit, a big advantage to the HDPLEX over the G-Unique and picoPSU-160-XT is its wide 16-24V DC input voltage range. 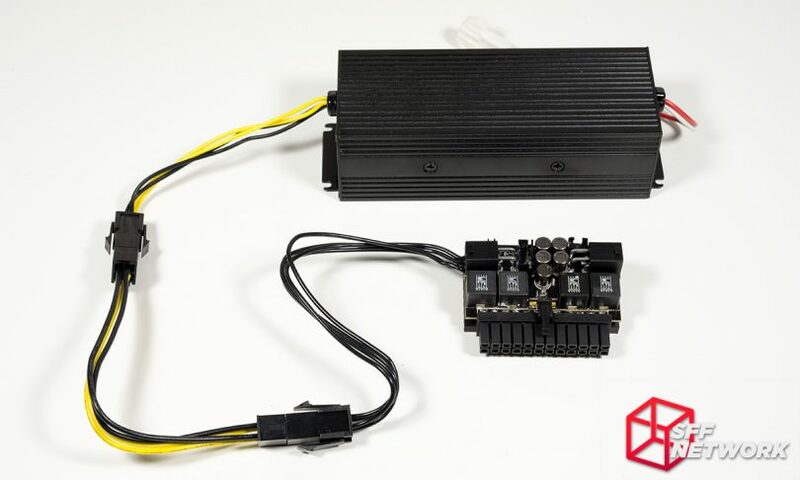 This allows it to take advantage of the variety of readily available high-wattage 19V bricks that exist for gaming laptops, not to mention HDPLEX’s own line of 19V internal AC-DC adapters. As someone who hates external bricks (nothing against those who love them though) the availability of compatible, compact, plug and play AC-DC units that can be mounted inside the case is well worth it for me. At $55, the HDPLEX 160W DC-ATX “v4” is the most expensive (though not by a huge margin) of the direct-plug units in this wattage class however (though if purchased together with an AC-DC from HDPLEX’s website there is a combo discount applied). 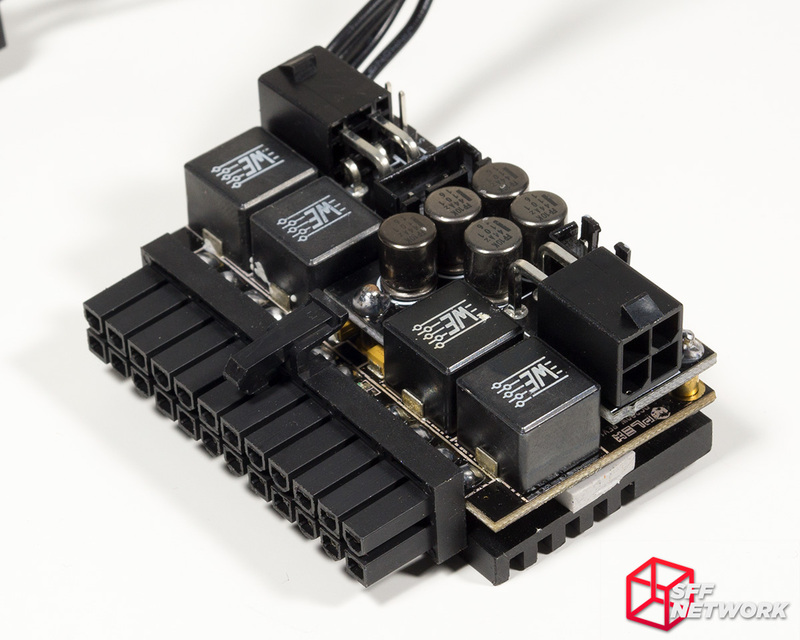 But if you need a modular, good-looking, direct-plug DC-ATX unit that can take 19V DC input this is the best option on the market so far. Thoughts? Share them in the forum here. Review sample provided by HDPLEX. Here at SFF Network we give manufacturers the ability to be part of the community. We offer a right to reply to hardware reviews. If a manufacturer responds, their comments will be posted here.